Temperature on the tarmac at Orlando Executive Airport is easily reaching above 100 degrees Fahrenheit even if the official high for October 17 registers 94 – 10 degrees above the norm. A sign of the times, perhaps; dozens of business jets on static display provide a clearer picture of change. Forty years ago, at this very NBAA-BACE program, Bombardier introduced its Challenger 600 series. To put this business aviation workhorse into perspective, Bombardier delivered 20 Challengers in its most recent quarter, stating it outperformed competing medium-category deliveries by a ratio of 5 to 1 or higher. A couple of years ago, Bombardier celebrated the thousandth aircraft delivery in its Challenger 600 series, which reached 1,100 by the end of 2017. Today, a Challenger 650 with gold and silver trim sits beside a 350 in Bombardier’s NBAA static display, with a Global 6000 and Learjet 75 at the entrance. Near the end of its allotted tarmac space, beside a busy, air-conditioned business hut, sits the Bombardier Global 7500 newly type-certified by Transport Canada. The company has been developing this clean-sheet aircraft for 10 years to become its next business aviation milestone series. The large-size category Global 7500, projected to hold a typically equipped list price of $72 million, is now the world’s longest-range business jet, rated for 7,700 nautical miles at its optimum cruise speed of Mach 0.85 – connecting New York to Hong Kong and Singapore to San Francisco, nonstop. It holds Mach 0.925 speed as one of the world’s fastest business jets. Bombardier has since been awarded 7500 certification from the Federal Aviation Administration and expects the European Aviation Safety Agency to follow shortly, a final marker the company wants in place before putting the Global 7500 into service. Manufacturing of the aircraft is in full swing at Bombardier’s Toronto production facility and the company expects to deliver 20 Global 7500s in 2019, followed by 40 deliveries in 2020, which will be close to the aircraft’s full annual production level. Bombardier has been preparing for the Global 7500’s manufacturing and completion processes since the program began 10 years ago to take advantage of its clean-sheet potential and disrupt the business aviation industry. The clean-sheet program also allowed Bombardier to make the Global 7500 both highly customizable and cost effective. “We have rethought how cabinets are designed and installed on the aircraft to get the highest quality, but also reduce the overall time it takes to build the aircraft,” Masluch says, describing a modular approach for interior completions. The fit and finish of major components are first made perfect on an interior installation test rig – a unique manufacturing process in the industry. There are approximately 2,000 people at Bombardier who work on the Global 7500 from a design, assembly and completion perspective. Because the aircraft is built in Canada, Masluch explains another 1,000 people in Montreal and Greater Toronto support the program as third-party suppliers. 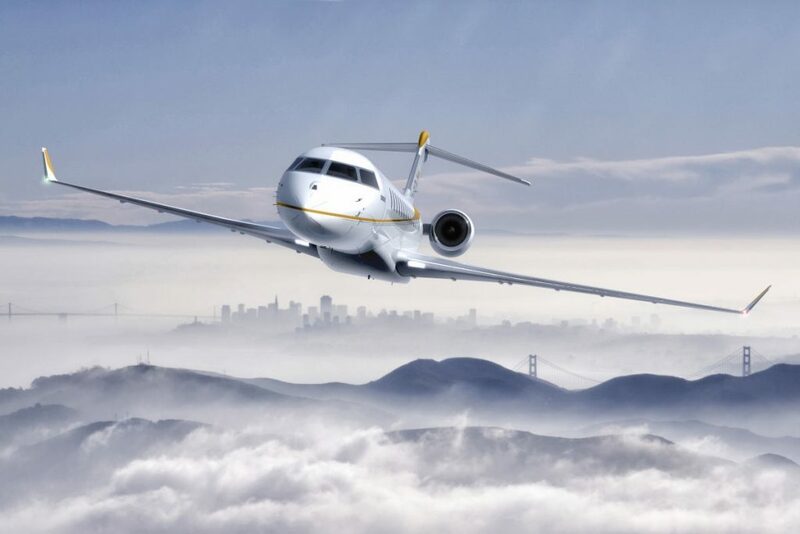 Bombardier in mid-October reported its new Global 6500 and 5500, unveiled six months ago at EBACE, are progressing on schedule with 70 per cent of projected test hours complete. These aircraft are scheduled to enter service in 2019 with exclusive Rolls-Royce Pearl engines and a world-first application of Rockwell Collins’ EVS system. Leveraging short- and long-range infrared imaging with traditional HUD systems to create unprecedented approach visibility, this combined vision system will include a roadmap for integration on the Global 7500, currently using Rockwell Collins’ Pro Line Fusion avionics.